Our newest addition to the collection is the popular buckled ankle strap. It makes the clog very secure on your foot and look GREAT! 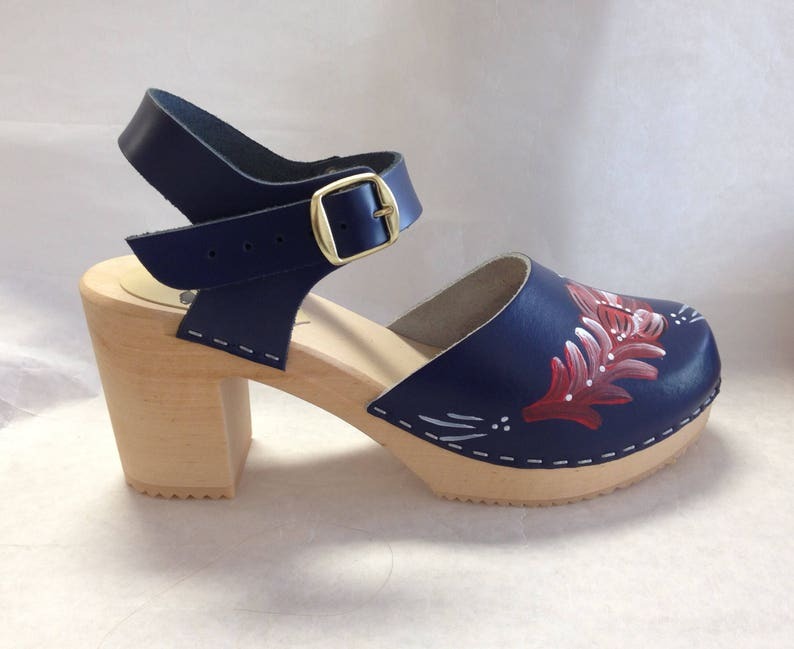 This stunning design is in Navy blue leather with my Scandinavian folk floral kurbits painting in red and white on a natural wooden super high heel (3 1/2") and a bronze , black or silver buckle. Can be made in many other colors or a combination of them. Please contact me for more info!